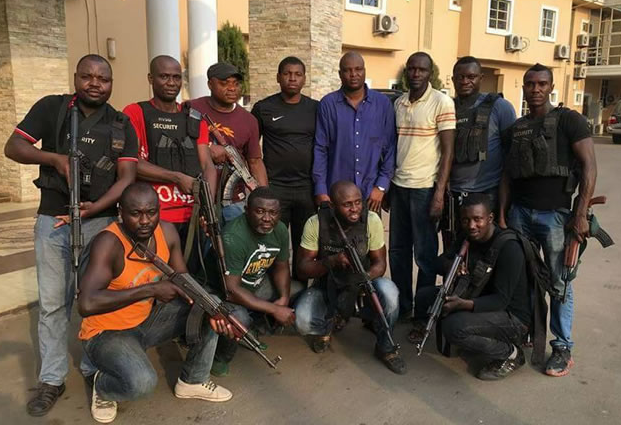 Meet the brave JTF operatives led by IG of Police Intelligence Response Team who took down a notorious kidnapper terrorising indigenes of Imo State. The now dead kidnapper Henry Chibueze popularly called Vampire was shot dead at his hideout in Rivers State on Thursday the 2nd of March 2017. We are just too local in nigeria, i didnt see any big deal in this,that warrant all the fake police team in nigeria to posed for a photograph just because they killed one man, how many pictures of the american MARINE SEAL which brought down OSAMA BIN LADEN THE WORLD TERRORIST have we seen? lack of orientation is enormous in d so called nigerian police force, abeg make i see road jare.